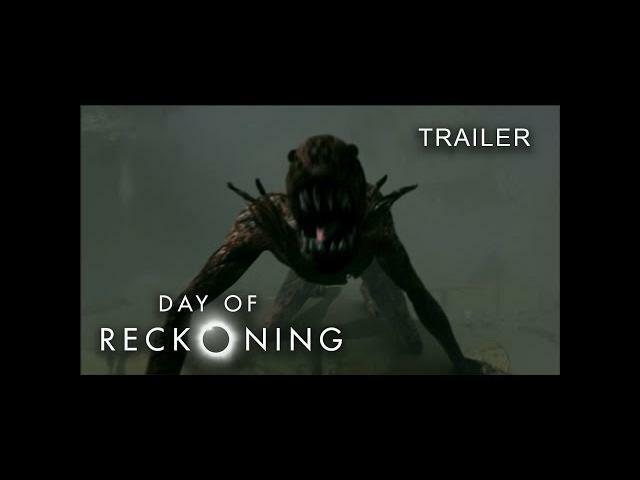 Director Joel Novoa"s Day of Reckoning (2016) movie looks thrilling in this movie trailer with flying demon -like creatures wreaking havoc on what sounds like the Earth. I missed this film on Syfy but will make better efforts to watch it when I get a chance. Jackson Hurst, Heather McComb, and Jay Jay Warren star in Day of Reckoning. Fifteen years ago, the world suffered a horrific global disaster when millions of demon-like creatures ascended from the bowels of the earth, swarming the entire planet, and feasting on mankind for one full day. Now due to a lunar eclipse they have returned for 24 hours to purge the earth’s population. One family will battle against the odds to not only save themselves but to also seal the breach. Who will survive this “Day Of Reckoning”?